The 2018 Audi RS5 builds on the Audi S5, which was previously launched in India as part of the A5 Brat Pack, and is built on a new platform that makes it lighter while adding on paraphernalia. 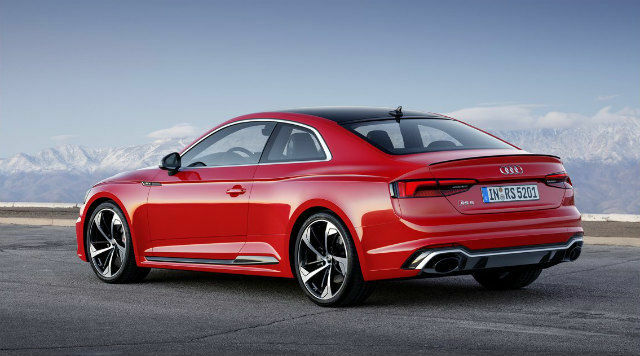 Audi India has launched the second generation of its two-door performance coupe, the Audi RS5 Coupe. Based on the previously-introduced Audi S5, the new Audi RS5 coupe is aimed at performance enthusiasts, but provides something that is somewhat less aggressive than all-out supercars. The new car offers new doses of technology, along with a lighter chassis, a new powertrain and fresh dynamics. Priced at Rs. 1.1 crore, the Audi RS5 coupe is now up for sale in India, and in case you’re eyeing for a flashy new car, here’s everything you need to know about it. The new Audi RS5 coupe comes with Audi’s Virtual Cockpit digital instrument cluster, which has multiple display modes including classic instrument cluster, infotainment, Google Earth and Sport. In Classic, the instrument cluster shows the standard speedometer, along with the tachometer, fuel gauge and multi-trip information. The Infotainment mode focuses on phone connectivity status, notifications and music prompts, and Google Earth shows a detailed view of the integrated satellite-linked navigation system. The Sport mode, meanwhile, shows a large tachometer at the centre, along with a lap timer, G-force meter, tyre pressure, engine and tyre temperatures, and power and torque read-outs. 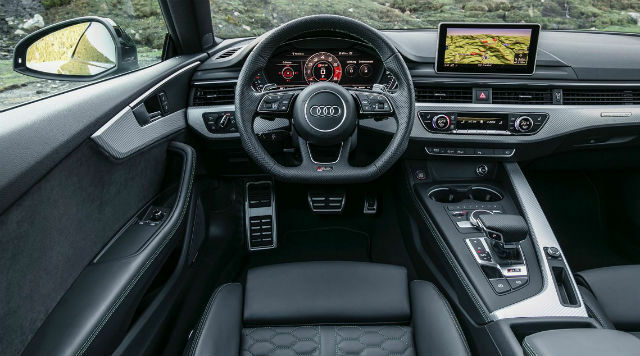 Then comes the Audi MMI infotainment interface, which includes the Audi MMI satellite-linked navigation setup, wireless telephony and music streaming, car settings, driving dynamics, telematics-linked service and a range of connectivity and input interfaces. Enabled with Audi Connect Plus and Prime, the MMI navigation system also has Google Earth with 3D satellite view, local news, traffic, weather, flight information and more. The Audi MMI interface also includes Apple CarPlay and Android Auto bundled in for native smartphone connectivity, and with Audi Connect Prime, can offer up to eight Wi-Fi hotspots for users to connect to. Furthermore, the Audi RS5 Coupe includes a full-colour high fidelity Head-Up Display, which shows navigation prompts and the speedometer for general usage. When put to Sport mode, the HUD also shows oil temperature, a lap timer and a gear shift indicator. The audio setup is in accordance with what we’ve come to expect from luxury cars, with a Bang & Olufsen 3D surround audio setup comprising a 16-channel amplifier, 19 speakers and a 755W digital amplifier. The new Audi RS5 Coupe also comes with a bunch of driver assistance features, which include Audi pre-sense collision mitigation, pedestrian detection, emergency braking, seat belt pretensioners and blind spot monitoring, along with cross traffic alert, vehicle exit alert and adaptive cruise control. 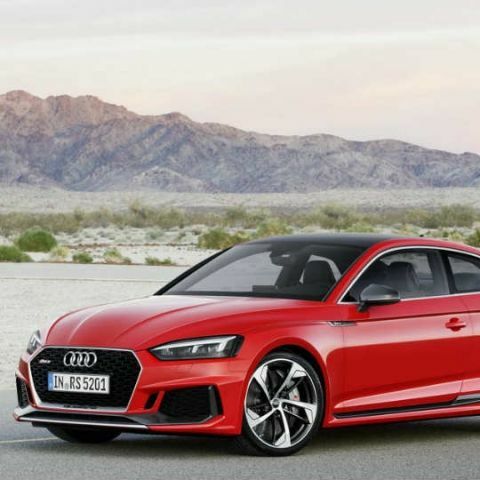 However, owing to the lack of clarity on regulation of new technology in India, it is not yet clear if the ADAS features will be enabled in the second-generation Audi RS5 Coupe in India. The new generation Audi RS5 Coupe lets go of the 4.2-litre V8 engine that powered the previous generation one, and is now powered by a much smaller, 2.9-litre V6 biturbo engine. However, the powertrain still develops a commendable 444bhp, and buoyed by the two turbochargers, produces an impressive 600Nm of torque. All of this is paired with an 8-speed Tiptronic transmission, and Audi gives the option to equip the RS5 with Dynamic Ride Control suspension to give individual and automatic suspension adjustment to adjust handling, driving dynamics and ride quality. The car gets four drive modes - Comfort, Auto, Dynamic and Individual, with the latter giving options to adjust steering wheel feedback and transmission ratios alongside suspension to individual preferences. The Dynamic Plus package on the Audi RS5 Coupe further adds 15.7-inch ceramic front brakes, carbon fibre engine cover and electronically limited top speed of 280kmph. The new generation car is also lighter by 60kg, which with a stiffer chassis, should make it better in terms of overall handling around sweeping curves and even maintain better stability on the straight line. 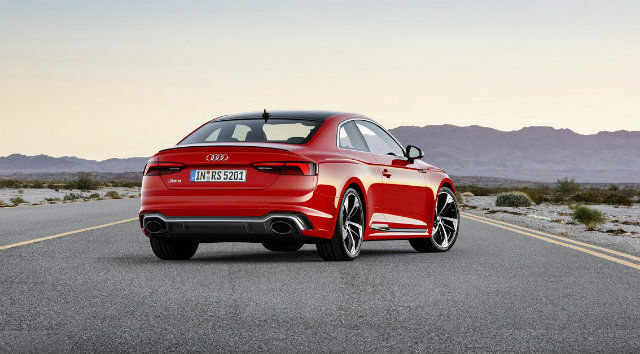 Further contributing to stability of the car are aerodynamic adjustments that Audi has done to the new RS5 Coupe. It gets larger air dams, a wider front grille with chin spoiler, and grooves around the front lights which all contribute to better air flow around the car. The 2018 Audi RS5 Coupe hits 0-100kph in 3.7 seconds, and plies on 19-inch alloys as part of the standard package.